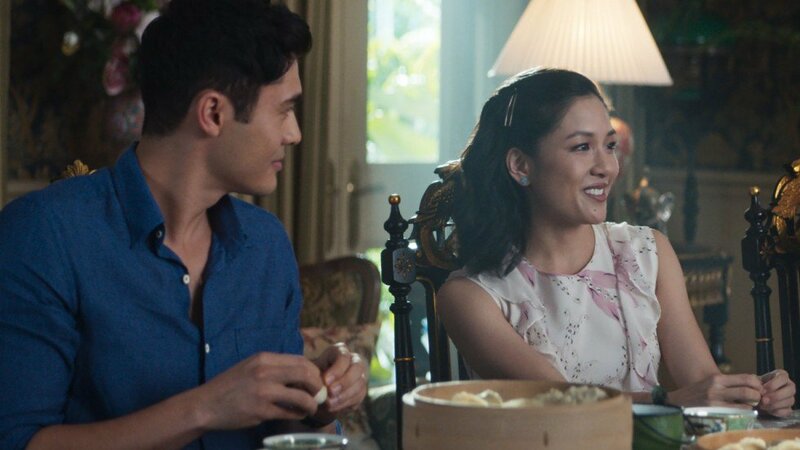 A still shot from "Crazy Rich Asians"
In elementary school, I substituted my father’s handmade pork dumplings for PB&J sandwiches. Placing tradition childhood Chinese toys in a bin, I asked for American Girl Dolls instead. Rather than embracing my culture, I learned that it branded me as different. That feeling became synonymous with peers taunting my father’s broken English and his construction truck that took me to school every day but took him to labor. When he picked me up, I could see the ache in his back and the dry blood on his hands from cuts. Yet my father never faltered to greet me with an unfaltering warm smile. If only my peers saw him the way I did too. But I can’t blame them. They were rarely exposed to the diverse lifestyles and stories that showcased the struggle of immigrants. Instead, they were presented with a distorted sense of what constitutes the model American on their TV screens. Shame and embarrassment only resulted from idolizing these characters. Growing up, I struggled my entire life balancing being both Asian, but also American. The lack of Asian American representation in film and media only propelled my need to confirm. I never saw anyone who looked like me, spoke like me or even celebrated holidays or traditions the same way my family did. When I did come upon an Asian American in film, their character was a product of prejudicial beliefs that I never identified with and knew did not represent Asian Americans holistically. When I finished watching “Crazy Rich Asians,” my face was drowned in tears. I never watched a movie that openly accepted Asian American culture and struggle. Out of all the scenes, the mahjong scene personally left the biggest impression. When I heard Rachel’s line, ”It will be because of me. A poor, raised-by-a-single-mother, low class, immigrant nobody,” I immediately began reminiscing about my childhood and my father’s construction truck. Rather than having her character being embarrassed, directors made Rachel a strong female lead who embraces the struggle of first and second generation Asian Americans, inspiring them to take pride in who they are. “This movie really helped me embrace my Asian culture, especially since so many parts of the movie hit so close to home as they contained traditions that I constantly do at home,” said Coco Zhao, a senior at Arcadia High School. Annie Ou, a senior at Arcadia High School, said she resonated with the same aspects of the movie. Samantha Loc, a junior at Gabrielino High School, said that this movie is important to Asian American communities because it symbolizes a message that regardless of the odds stacked against them, they can still strive for their dream. Lianna Long, a senior at Gabrielino High School hopes the movie will be the start of more Asian representation in Hollywood. “I hope that this [movie] will propel future projects with more Asian leads,” Long said. As the next showing premiers, Crazy Rich Asians continues to instill inspiration, hope and pride within the hearts of Asian Americans across the nation.